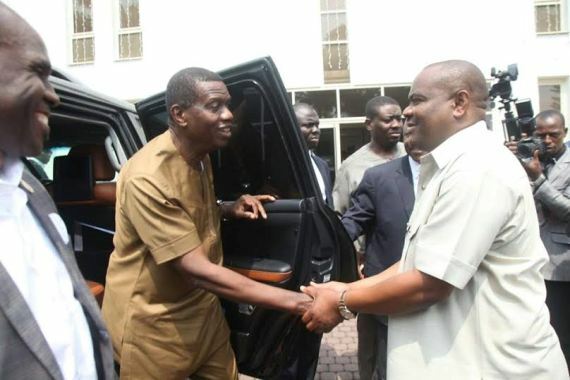 Welcome To Ajetun's Blog: Photo : Pastor Adeboye visits Governor Nyesom Wike. Photo : Pastor Adeboye visits Governor Nyesom Wike. Rivers State Governor, Nyesom Ezenwo Wike yesterday Monday, January 18 received Pastor Enoch Adeboye at the Government House, Port Harcourt.